Nothing is worth your life, but is your life worth living? Self made billionaire Robert Cutter made his money investing in struggling companies. Plagued by “accidents", it becomes apparent that someone is trying to kill him. Injured by a concussion in one of the accidents, the agonizing realization is that his not-so-perfect past is coming into clear focus. 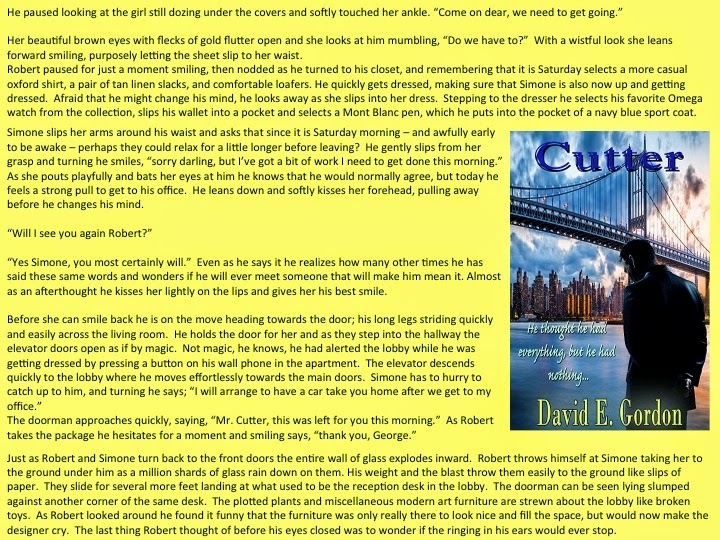 Cutter has everything a man could ask for - money, women, cars, houses, and power. But, with the latest attempts on his life, he starts to rethink his life and evoke change. Soon he begins to realize that was important is no longer that significant. He thought he had everything, but he had nothing. I live in Southern New Jersey with my amazing wife, who is also my best friend. We live just outside of Philadelphia and about an hour from an awesome selection of beaches. It was on a beach that I wrote my first short story and I love to spend as much time as possible there. There is something so invigorating about the sun and the blue skies.